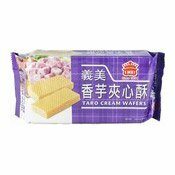 Allergy Advice: Contains Wheat, Soy, Milk. 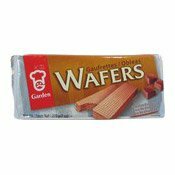 Also, may contain eg products, peanut and sesame products. 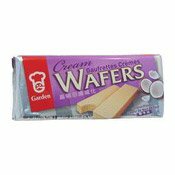 Ingredients: Wheat Flour, Vegetable Shortening (Palm Oil) (Contains Anti-oxidant (Ascorbyl Palmitate (E304), Mixed Tocopherols Concentrate (E307b), Soy Lecithin (E322)), Sugar, Whole Milk Powder, Cocoa Powder (Contains pH Control Agent (Potassium Carbonate (E501))), Corn Starch, Coconut Oil, Artificial Flavouring (Contains Humectant (Triacetin (E1518))), Artificial Colours (Caramel IV (E150d), Carmine (E120)), Leavening/Raising Agent (Sodium Carbonate (E500), Ammonium Carbonate (E503)), Emulsifier (Soy Lecithin (E322)), Salt. 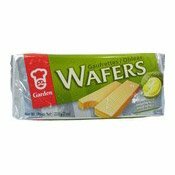 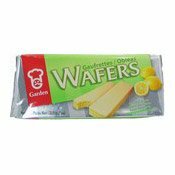 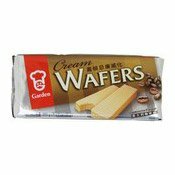 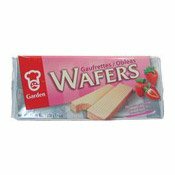 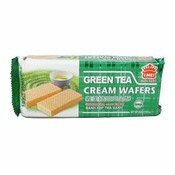 Simply enter your details below and we will send you an e-mail when “Cream Wafers (Chocolate) (嘉頓朱古力威化餅)” is back in stock!